BMWSoft Remote PC is a kind of software which can enable you to control your remote PC remotely through the internet or local area networks. By BMWSoft Remote PC, you can operate the remote PC and do your work like you were sitting in front of it. You consider your employee as a key asset, but want to know what they do when expected to work. PC monitor software like Employee Desktop Live Viewer software can help you. This utility can assist you monitor the PC activity in a real time. AVSnap is a high quality Audio Visual drawing, design, documentation, presentation, remote access and control software. MyGreenPC remote pc access software allows you to remote access your pc from anywhere in the world! Access Remote Pc 5.2 lets you access a Remote computer over a network. You can install the program Server, Client or both in your computer. The computer running the server will accept connections from the computers running the client. Usoris Remote Utilities™ is remote desktop software that provides easy and secure access to a remote PC. 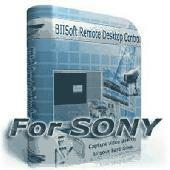 Usoris Remote Utilities™ is Remote desktop Software that provides easy and secure access to a Remote Pc. With Remote Utilities, you can view the Remote screen and operate its mouse and keyboard as if you were sitting right in front of it.